The vestibulo-oculomotor laboratory at the Neurology Department, University Hospital Zürich, was set up at the start of the 1970’s by Volker Henn. Right from the start, he implemented the idea of a research facility with a broad scope and a constant flow of information from bench to bedside and from bedside to bench. Accordingly, the infrastructure of the basic science and the human science laboratory was continuously and equally expanded. The numerous publications in basic science and clinical journals, as well as the international reputation of the laboratory are both evidence for the success of the integrative approach to research in the vestibulo-oculomotor field in Zürich. Since 1998, questions at the boundary between vestibulo-oculomotor pathophysiology and clinical research have increasingly been investigated in the human sciences field. The globally unique motorized three-dimensional rotating chair has opened up opportunities for experiments that will not be fully exploited for many years to come. Numerous international collaborative projects with their associated publications are essentially due to the existence of this rotating chair. Collaboration with the clinics of Otorhinolaryngology (ORL) and of Ophthalmology at the University Hospital was greatly expanded to facilitate recruitment of patients for research purposes and to simultaneously feed the knowledge gained from this research in to clinical routine as early as possible. The first Interdisciplinary Centre for Vertigo and Balance Disorders was opened jointly with the ORL Clinic in 2004. Over subsequent years, further partners were added in the form of the Department of Psychiatry and Psychotherapy and the Institute of Physical Therapy. On 1st September 2015, the centre was expanded with the support of the Eye Clinic to include neuro-ophthalmology and is now called the Interdisciplinary Centre for Vertigo and Neurological Visual Disorders. The centre has over 10 years of experience in the joint treatment of elite athletes, mainly ice hockey and football players. The main problems were persistent dizziness after a head injury. Inner ear concussion was commonly diagnosed as the cause of dizziness after brain injury had been excluded based on clinical examination and imaging. This so-called commotio labyrinthi can lead to the dislodging of crystals in the otolith organs (that measure gravity and linear acceleration in the inner ear), which then float freely in the inner ear fluid and enter into the semi-circular canals, where they cause vertigo. We have been, and still are, helping many athletes through positional manoeuvres specific to the semi-circular canals that are carried out on an examination couch or with the aid of the motorized rotating chair. The diagnosis and treatment of dizziness after head injury in sport will take a great step forward thanks to the partnership with the Swiss Concussion Center. 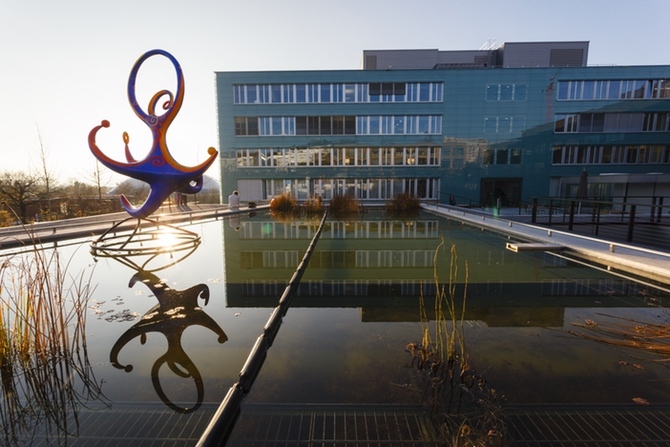 The Schulthess Clinic in Zürich is one of the leading orthopaedic clinics in Europe, and the first choice in orthopaedic surgery, neurology, rheumatology and sports medicine. 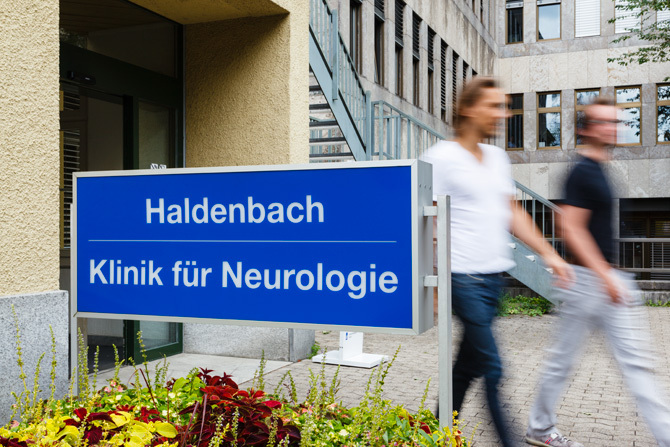 About 30 years ago, the Department of Neurology at the Schulthess Clinic was founded and built up under the leadership of Prof. Dr. Jiří Dvořák. The department focuses primarily on neurological questions pertaining to the musculoskeletal system, which includes head and neck injuries. The team now includes 10 certified neurologists, with Dr. med. Alfred E. Müller as its leader. The neurology department has been working on sports concussion for 20 years. Injured athletes are treated based on the current status of art in sports medicine. Physicians of the Schulthess Clinic are represented on the international scientific panels set up to produce guidelines on diagnosis and therapy. The former chief physician of the neurology department and at that time also Chief Medical Officer of FIFA was founding member of the Concussion in Sport Group, which focuses on the definition, diagnosis and treatment of head injuries associated with sports (including concussion). Since 2001 the Concussion in Sport Group organised 5 consensus conferences (2001, 2004, 2008, 2012, 2016) which were supported initially by the International Ice Hockey Federation (IIHF), the Fédération Internationale de Football Association (FIFA) and now also by World Rugby (WR) and the International Equestrian Federation (FEI). The results of consensus conferences were published in the British Journal of Sports Medicine, which is currently the top ranked journal in the category of Sports Sciences. In addition to research, the neurology team works closely with experts in sports medicine and makes an active contribution towards the treatment of spinal disorders and traumatic brain injury (including concussion). A close interdisciplinary exchange takes place between spinal specialists, psychologists and sports therapists, to ensure that all facets of possible complaints suffered by athletes after head and neck injuries are covered. An optimize treatment for the affected athlete is guaranteed thanks to the concentration of knowledge and expertise in the Swiss Concussion Center.